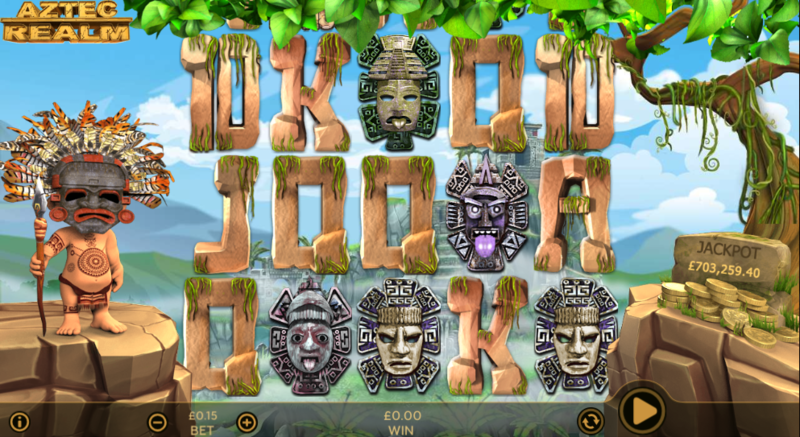 The Aztec civilisation has provided us with a number of online slot machines in the past but there’s always room for one more and here it’s in the shape of Aztec Realm, a game developed by Random Logic with two bonus features and a progressive jackpot. The five high value symbols are all stylised Aztec masks while the lower values are 10, J, Q, K and A formed from stone blocks. 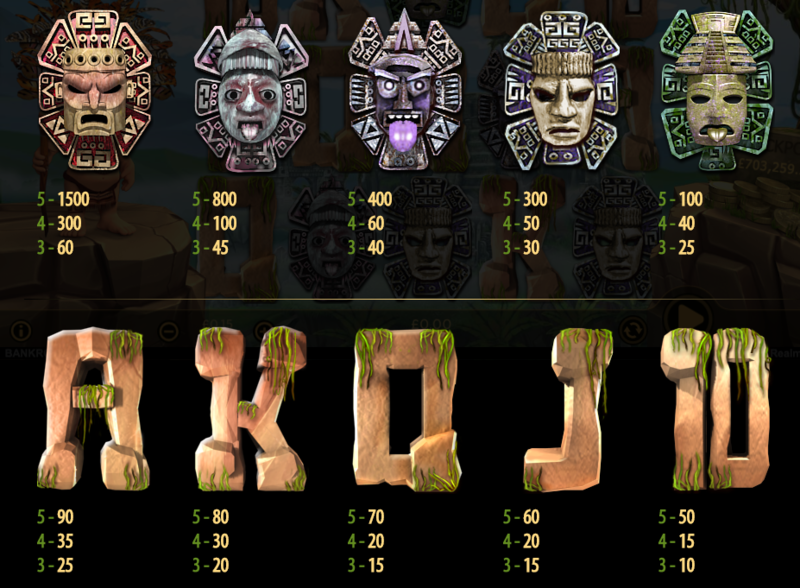 The wild is a side-on mask which will replace all others to help form winning matches except for the Free Spins and Bonus symbols. This is triggered by landing at least three of the Free Spins scatter symbols anywhere in view for which you will receive a random number of spins – the more scatters the more spins awarded. During this round the Aztec chap will fling his spear at the reels, creating wilds which remain in place for several spins, occasionally swapping positions. It’s not possible to trigger more spins from within this feature. Trigger this by landing three of the Bonus symbols on reels two, three and four; you’ll now get to play two picking rounds which both award multipliers of your total bet. 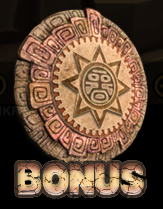 There’s an attractive, cartoonish quality to the graphics and animations in Aztec Realm and this is a slot with plenty more to offer including two potentially lucrative bonus features and a gigantic progressive jackpot prize. This game comes with an RTP of 96.21%.